1. 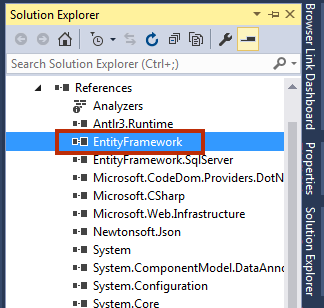 How to install Entity Framework 6 into your project? You can install Entity Framework 6 via Nuget but following prerequisite should be installed on your PC before installing Entity Framework 6. So, let’s start installing EF on your project. 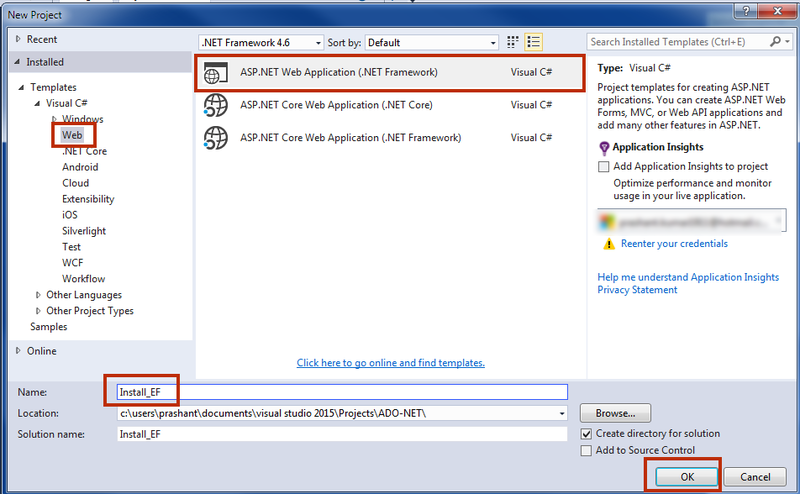 New ASP.NET WEB Application: Install_EF and click OK. 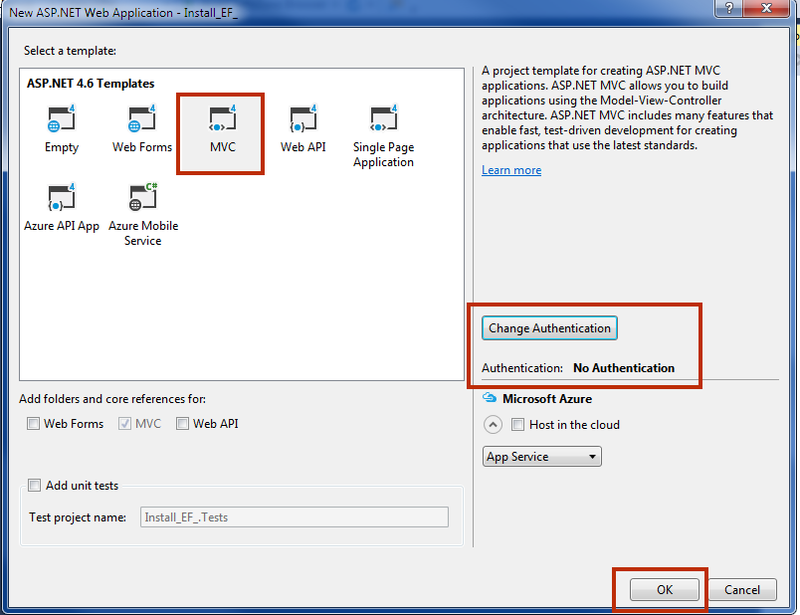 Select MVC in template window and change authentication to No Authentication and click OK.
Open Solution Explorer. Right Click on your project name and select Manage NuGet Packages. You must have an active internet connection to install NuGet Package into your project. 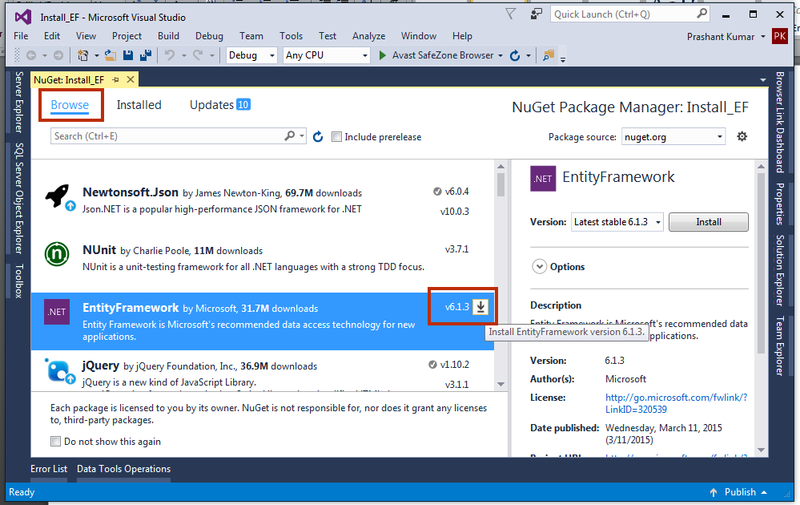 In NuGet Package Manager, find for Entity Framework and click on Install button to install it. A Review Changes dialog box will appear asking your confirmation to changes. 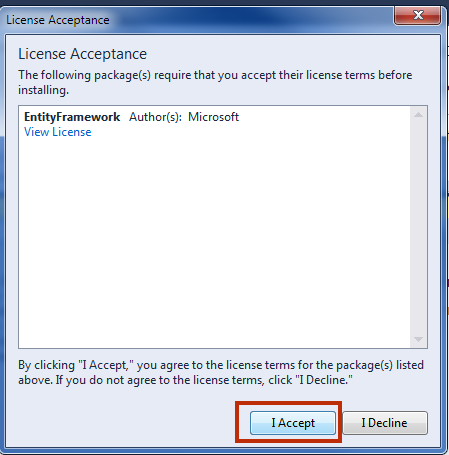 Click OK.
A License Acceptance window will appear. Click on I Accept to start Installation. The installation will take just a few seconds. 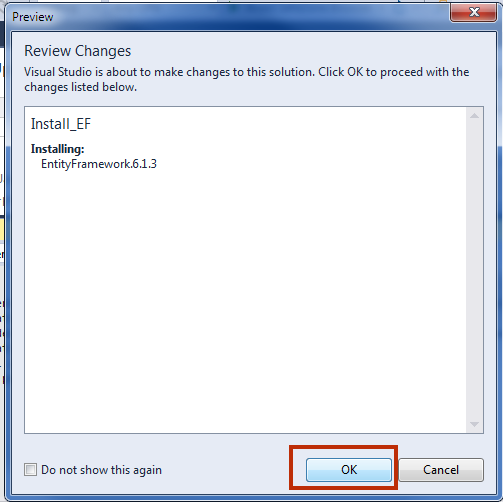 You will see a VS Output Window installing Entity Framework. After installing, you can see it in Solution Explorer. 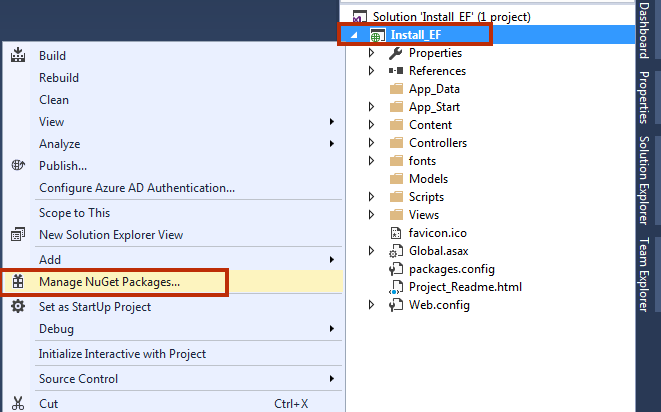 Expand References in Solution Explorer and here you can see that EF has been installed into your project successfully.